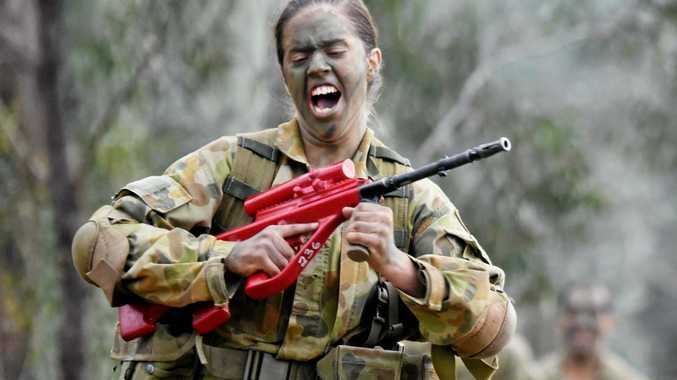 THIS is the first year women have been allowed to join the infantry, and Gladstone teen Rebecca Dunnett isn't letting the opportunity, or a rocket launcher, slip through her fingers. On Friday, July 8 Rebecca officially marched out of Kapooka and came back home to Gladstone, after completing five straight weeks of recruit training. 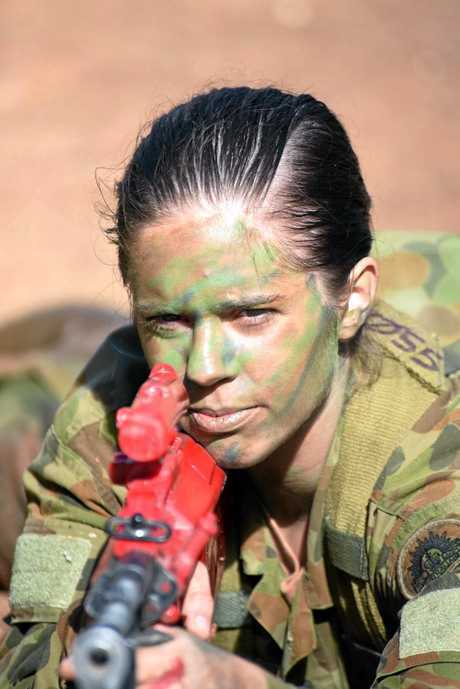 In the name of her country, Rebecca spent 35 days stripping away 'the civilian in her' and turning into a solider, learning the basics, including bush navigation, fitness tests, shooting and more. She has also been nominated for employment training in September, where if completed successfully, Rebecca will have the skills and knowledge to use equipment like rocket launchers, grenades and heavy machine guns. But Kapooka was no easy feat for Rebecca, who said at times she found the training challenging. "It's very different to being in the comfort of your home," she said. "There's a routine; you wake every morning and have to make your beds perfectly to the degree, get dressed, eat breakfast and then head to the next class or training exercise. "And you're constantly being yelled orders. Before going we weren't sure how we would get treated." In the first week, Rebecca passed her required fitness test, boosting her confidence throughout the week. "Some people didn't make it, but they will get another chance later," she said. "I was just so nervous about not meeting the requirements, so when I passed that first test I was so happy." But the main thing Rebecca has taken home with her from Kapooka, was mateship. "If you're not a team, or not a community, you will fail," she said. "And if you fail, it gets hard. Crawling up hills on your guts with your gun isn't fun." Now home, Rebecca said she has come away from the training a more disciplined person. "There's things, attitude wise, I just wouldn't accept any more," she said. If she is approved, Rebecca will head to Brisbane in September, and then complete another field training course in October. By the end of the year, Rebecca could become a qualified soldier. "It's nice to be back home and spending time with my family," she said. 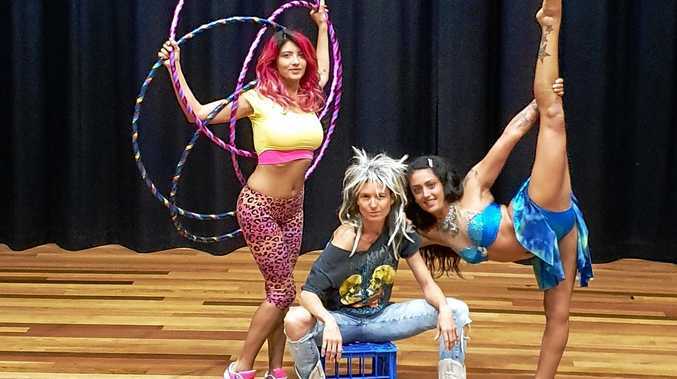 "The first thing I did was go and get subway with a friend when I got back home from Kapooka, but after eating clean and healthy for five weeks it wasn't a good idea. "Even after the all of the hard training, getting dirty, being yelled at and everything nothing has changed me for becoming a solder and fighting for my country is still my dream."